As The X Factor draws to a close tonight, Amazon are offering some free downloads of other music artists that are expected to be big in 2010. 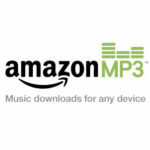 Full tracks from Eliza Doolittle, Local Natives, Little Comets, Lissie and Ghostape, and are now available for a limited period from the Amazon MP3 store. If you’ve never used their service before, you need to first download the free MP3 downloader software from the site, a very quick process that will then give you access to over 8 million tracks at prices usually much lower than iTunes, and many other special offers and deals. All the downloads are available in variable bitrate, and you can listen to snippets of each at the end of this article, or click on each individual link to be taken to the Amazon MP3 store. Police Car is taken from London born Eliza’s latest self-titled EP, which features four songs of happy, bubblegum pop. A soft, sweet voice is coupled with thoughtful lyrics, for a refreshing, summery sound. Signed to EMI and already compared to Lily Allen, I can also hear some similarities to Remi Nicole in there. Formed in Orange County over three years ago, Local Natives are a five piece band that forge their own brand of indie rock that draws it influences from post punk and afro-beat. Camera Talk is taken from their debut album Gorilla Manor, which is named after the house they all shared back home. Little Comets are a four-piece from Newcastle On Tyne with a fun attitude that mix up catchy hooks with dark lyrics and a pop beat. Known for impromptu gigs in lecture halls, and playing in the living room of fans, their debut single Adultery has been likened to The Wombats and Vampire Weekend. Lissie Maurus hails from Illinois but now lives in a farmhouse in California with her dog. Having already supported Ray LaMontagne on tour, Lissie’s music has a country pop sound with a rock edge to it. Little Lovin’ is taken from her debut EP Why You Runnin, and has drawn comparisons to Cat Power and Shea Seger. More mysterious than the other offerings mentioned, Ghostape is Swiss-born producer Gabs. Taken from the EP of the same name, Many Stars also features on the compilation album You Will Know Us By The Trail Of Avant Pop, which showcases the many varied artists on the trendy People In The Sky label. A lovely little slab of moody, atmospheric elctronica, it’s sure to make you want to search out more from both. Whatever your musical tastes, you’re sure to find something you like, so take advantage of these great free offers while you can. And if you take the time to have a browse around the store, you’ll also find a few other free tracks available. This entry was posted on Sunday, December 13th, 2009 at 6:15 pm	and is filed under Music, News. You can follow any responses to this entry through the RSS 2.0 feed. You can leave a response, or trackback from your own site.